With nine total seniors and graduate students, including eight who run distance, the Tech men’s track team has plenty of experience. Serving as role models at competition and in practice alike, these veterans can carry the load for the team. 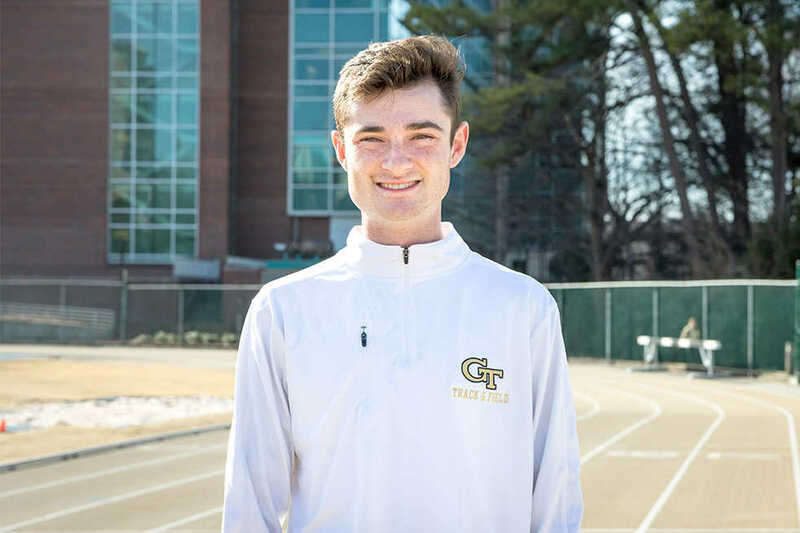 As just a freshman, though, Buford, Ga. native Sam Costa has burst onto the scene at the beginning of the 2017 track slate, earning conference-wide recognition for his performance at a meet hosted by Clemson University. Sam met with the Technique to discuss his path to Tech and the highlights so far. Technique: What was it like to be named ACC Men’s Track Performer of the Week? Costa: I was kind of shocked. I wasn’t really prepared for that. But it was pretty cool hearing that, I guess. Technique: What inspired you to get into running? Costa: My dad convinced me in ninth grade, or more, forced me to. And I just kinda stuck with it and started liking it. Technique: What’s your favorite thing about running? Costa: It’s probably the time and dedication, and the team atmosphere of running. Technique: Why did you decide to come to Tech? Clark: It was definitely the coaching staff, and also the upperclassmen. They convinced me and I really liked them. Technique: Speaking of upperclassmen, which members of the team are the strongest influences on you? Costa: I would definitely say Alex Grady and Nahom Solomon, just because of their dedication to the sport, and also Nahom was a prior Gwinnett County guy, so I got to know him before. Technique: I know it’s still early, but what has been your proudest moment as a member of the Jackets track and field team so far this season? Costa: The best moment is probably just putting on a uniform and running with some teammates in the [Clemson Orange & Purple Classic] 5K, because that was my first time wearing the singlet for the team. Technique: How do you balance your commitments as a student-athlete? Costa: Definitely a lot of organization, and I’ve just got to take time and focus on school. That’s what we’re here for first. Then comes the athletics.